Project Life was created by Becky Higgins and is an amazing concept for scrapbooking…..in a clean and simple way, and now, with exclusive Stampin Up Products and Colors, so yeah, these super cool kits will match all our other products – and hello – Turquoise Washi Tape! - Card Collections, Accessory Packs, Albums Photo Pocket Pages, tools, accessories and Stamps of course. 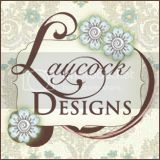 - Card Kits: The Stampin Up Kits will be a collection of 100 cards with 4 x 6, 4 x 4 and 3 x 4 card sizes. Each card will be printed front and back with no duplicates and these coordinate perfectly with a variety of Accessory Packs designed for the card kits. When can you get your hands on them? Here are the items we will be able to order on the 21st. – NOTE – numbers correlate to picture above!. How does FREE SHIPPING sound? Any amount (no $6.95 minimum)! Only two days! The only exception is on expedited order. Buy yourself a treat for Mother's Day or pass this special along to your family and friends. It's Wish List time! Stampin Up! has announced the immediate discontinuing of Watercolor Crayons and Pencils! Pencils and the Brights Crayons are gone – effective immediately, the Subtles, Regals and Neutrals in the crayons are only available while supplies last. This means: if you need to finish your collection, place your order ASAP! Here are the order numbers for you and if you click on them, I have linked them directly to my online shopping cart. If you get a chance to see the video, you will LOVE the color collections against the black background! They really POP! I also really like the cards Carrie shared to really show the beautiful possibilities these colors will have on your projects! Now is a great time to grab reinkers, ink pads, and cardstock for the discontinuing products you might want or need to restock in your collection. Even better news? SHIPPING IS FREE ON ANY ORDER AMOUNT...only April 6-8, 2013! Do you enjoy being the FIRST to play with the latest and greatest products?! The 2013-14 Stampin' Up! catalog release is still a few months away, but Stampin' Up! wanted to share a sneak peek of a fun product. As a demonstrator, I always have the pleasure of ordering early. For a limited time only, you can share the benefit and order early! The stamp set is called A Round Array, and you can use it with the 7/8" scallop circle punch that was released in the current spring catalog. There are eight designs in the set, and Spanish and French versions are also available. Stampin' Up! is offering a bundle with the stamp and punch if you need them both. Items are also sold separately. The stamps are ONLY AVAILABLE in CLEAR MOUNT, but the stamps will be available in wood mount in the new 2013-14 catalog. Sale a Bration deals are only available for ONE MORE WEEK, so stock up on adhesives, cardstock, and tret yourself to a few more treats during this awesome promotion! Are you excited about the BRAND NEW FIRM FOAM INK PADS? Me too! There are FIVE completely reformulated colors available in the new Firm Foam ink pads. These include: Basic Black, Basic Gray, Marina Mist, Perfect Plum, and Tempting Turquoise. 1. LIGHT TAPPING-The firm foam ink pads require less work and will improve your stamping experience. Previously, you might have rubbed or firmly applied the stamp to the ink pad. These pads hold ink well and do not require intense pressure. 2. INK-If you find the new firm foam ink pad to be "too juicy," simply blot the surface with a paper towel to remove excess ink. 3. FUNCTIONALITY-The center of the firm foam pad will work better with solid image stamps to prevent previous "image center fading." 4. LONGEVITY-The firm foam ink pads will remain "juicy" longer to prevent the need to re-ink as often. The firm (rather than felt) should have a much longer life and prevent the fraying caused by felt material. Q: Why did we switch from felt pads to firm foam pads? A: We have worked very hard to improve the functionality of our Classic Stampin’ Pads. The firm foam allows for better ink coverage; plus it stays juicer and lasts longer. Q: Do old Classic Stampin’ Ink Refills work with the new firm foam pads? A: Yes, with the exception of Basic Black, Basic Gray, Marina Mist, Perfect Plum, and Tempting Turquoise, which have been reformulated to work with the new foam pad material. We do not recommend using old ink refills in these colors with the new firm foam pads. Q: Before I use my firm foam pad, do I need to tap it and massage the ink around? A: No. The firm foam pads are ready for use immediately. The best stamping technique with the firm foam pad is light tapping. Q: My pad is too wet. What should I do? A: We suggest using a paper towel to remove some of the ink. The amount of ink in each pad is carefully monitored in production to ensure the two-year shelf life. Q: The firm foam on my lighter color pads looks blotchy. Is this normal? A: Yes. The blotchiness is caused by the characteristics of the pad material. It does not affect the stamped image. Q: When I first stamp with certain colors, my images seem a lot darker. Why is this happening? A: When stamping with your old pads, you had to work hard to get even ink coverage on your stamp. With the new firm foam pad, the stamp gets a lot more ink on it so when you stamp, your image will appear darker. Once your stamped image dries, the color will look normal. Q: When I compare the firm foam pads to my felt pads, some of the colors don’t seem to match. Why is this? A: The firm foam and felt will not match exactly. Ink reacts differently to different materials. We have quality checked each ink color to ensure that the stamped ink color is true. Q: What is shelf life of the firm foam pads? How long will the pad last before I need to re-ink it? A: Shelf life is two years from the manufactured date, which means if you do not use the pad for two years, it should remain well saturated. If you use the pad frequently, the pad may need to be re-inked before the two years. Q: What is the best way to remove the color labels from the bottom of the ink pad? A: Start at the right bottom corner (just above the barcode) and slowly peel the corner up by removing both layers. Q: Which end of the case do you apply the label to? A: The label goes on the end where you open the case. Q: If the ink pad becomes saturated with ink or liquid, will it cause the label to fall off? A: No, the label should not be affected. However, like most labels, if you pick at it or try and remove it, it may start to peel up. Q: What are some additional features of the new firm foam pads? The firm foam is nice and flat and will not become wavy. The firm foam material does not imprint on the stamp images like the felt pad sometimes did. However, because the firm foam material is a foam base material, the stamp image can momentarily leave an imprint on the pad, which can transfer to a second stamped image. By inking your stamp on different areas of the pad or waiting momentarily for the ink to rise back to the top, you can easily avoid this situation. The firm foam material is soft and has a nice bounce to it. It’s not hard like the felt is. The ink lay-down (how the ink is absorbed into the card stock) is even, not blotchy, and dries quickly. It has an increased opacity and stamps solid images beautifully. Q: Will the ink color collections include the newly formulated five colors (Basic Black, Basic Gray, Marina Mist, Perfect Plum, Tempting Turquoise) during the preorder in May? A: They will include the new formulations of Basic Black (Neutrals) and Marina Mist (Subtles). However, if you are planning on purchasing the Neutrals, Subtles, or Brights ink color collections, we recommend you wait until June 1, at which time the new ink formula will also be available in Basic Gray, Perfect Plum, and Tempting Turquoise. Q: Will Stampin’ Spots use the new firm foam pad? A: No. Stampin’ Spots will remain the same. Q: Can I use the reformulated ink with my Stampin’ Spots? Everyday Enchantment is such a fun name for the FREE playful designer series paper pack in the Sale-A-Bration brochure. I colored the Fresh Vintage stamp set with Poppy Parade, Lucky Limeade, and Pool Party Stampin' Write markers before stamping on a pre-cut heart from the Big Shot Framelits collection. My mind is full of decisions and choices non-stop. Thanks to Stampin' Up!, my color and product choices coordinate to create stress-free stamp time. Schedule a Sale-A-Bration workshop with me, and I will create kits and projects for you and your friends to play with these fun products! Your choice of a FREE product from the Sale-A-Bration mini catlaog awaits on January 24. You may also submit your order early, so I may submit it the moment the special promotion begins. A handmade treat will be given to the first 10 people who place a FREE Sale-A-Bration order form. (this offer does not include online orders) Email or call me to place your order ASAP.